Arrhythmias irregular beating of heart is due to different reasons like existing heart disease, blood electrolyte imbalances, cadriomyopathy or coronary artery disease. 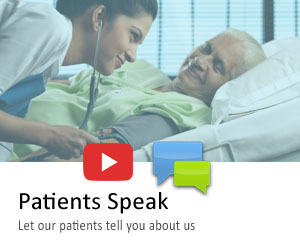 The symptoms are dizziness, shortness of breath, palpitations, pain in chest, fatigue etc. Sometimes none of these symptoms might be there and only on evaluation arrhythmias can be detected. Bradycardia The heart beat is slower than the regular or normal heart i.e below 60 beats per minute. Brady Arrhythmias Arrhythmias occurring due to existing heart disease. 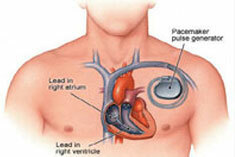 A pace maker is a device used to manage arrhythmias. It helps in optimizing the heart rate to the desired level. The device sends electrical impulses to the heart muscle and keeps tracks of the hearts activity. 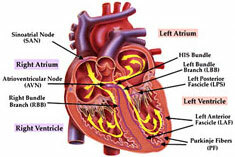 The heart has 4 main valves mitral, tricuspid, aortic and pulmonary valve. The blood flow out of the heart is through valves. They regulate the flow of the blood for the heart. 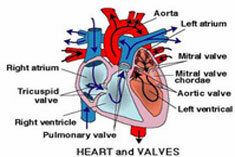 When these valves do not function correctly it affects the entire functioning of the heart. There are 2 different types of valve dysfunctions a) valvular stenosis b) valvular regurgitation. Valvular stenosis: Stenosis or narrow valve obstructs the blood flow and the heart has to pump harder resulting in lower blood flow. Valve diseases can be genetic and children are born with valve dysfunctions or in adults valve diseases occur due to other conditions like rheumatic fever, endocarditis. The other causes basically are existing heart related problems like hypertension or confirmed heart diseases like cardiomyopathy,coronary artery disease, aneurysms, heart attacks etc. 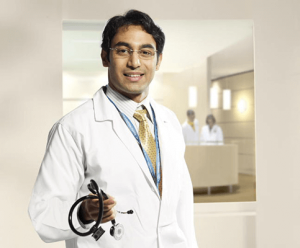 Though surgery is ideal in some scenarios patient is unable to withstand a surgery due to their physical condition in such patients interventional procedures are required like PERCUTANEOUS MITRAL, AORTIC AND PULMONIC VALVOTOMY FOR STENOSIS which is performed the cardiac interventional team at Apollo Health City.